Frank signs Joyce. Nice stable of heavyweight prospects he has now with Joyce, Dubois and the underrated Gorman. Concrete, construction and a name I learned from Tighty's quizzes. Community Forums / Betting Tips and Sport Discussion / Re: PFA Team of the Year. More of a joke than middle aged gammon thinking they know better than the professional footballers playing in that league? Pogba being in there is a joke tbh. Just watch this for a couple of hours, it's all action. Community Forums / The Lounge / Re: Things that piss you off! 6 from City, 4 from Liverpool, & Pogba from Man U. No room for Kane, Hazard, Mo Salah or David Silva. Community Forums / Betting Tips and Sport Discussion / PFA Team of the Year. 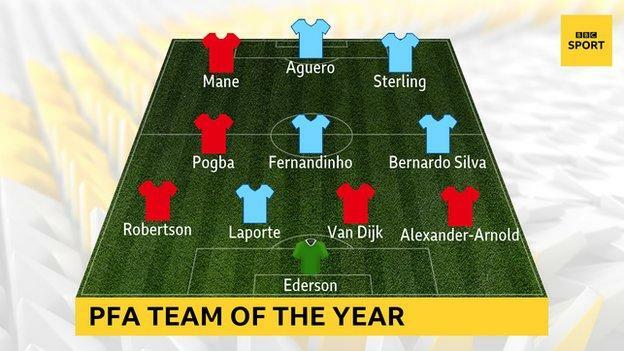 This is the "Team of the Year" as voted for by the players.